For those of you who think I (Mrs. Kolbert) know everything about computers, I will now share my secret. I definitely do not! Look at this cartoon and you’ll see exactly what I (and most people who you think of as very “techy”) are doing when trying to troubleshoot a computer issue. Follow these steps and you can be a local computer expert too! 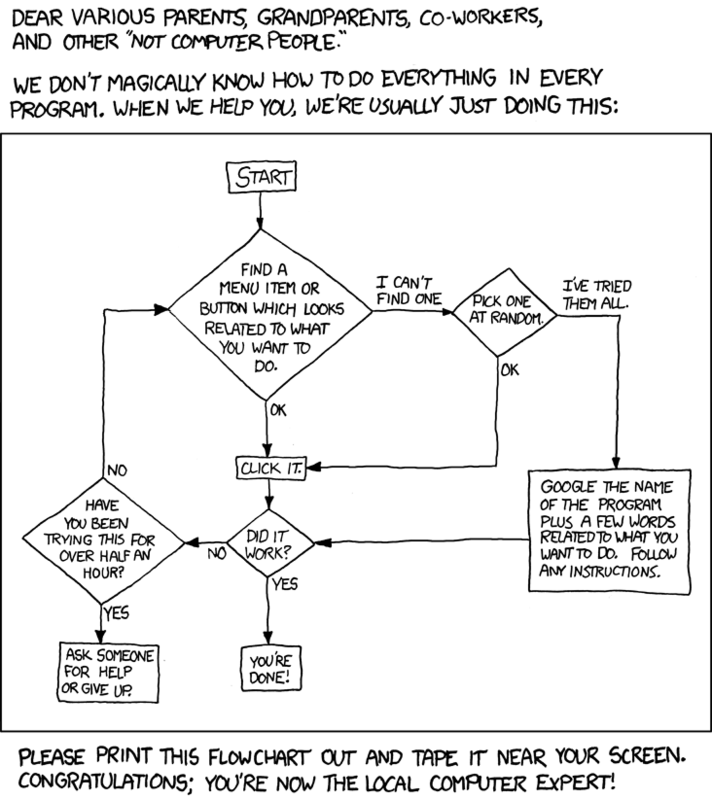 Ofcourse all programes have a HELP!!! Menu that might be faster than the half hour in the chart. so it needs to be added to the chart. Wow Mrs.Kolbert, that’s the most high tech method for a computer I’ve ever seen! All I do is punch the keyboard, and storm away. This post is really cool!